Buffalo is a tough job for many reasons and the leap from Division III to the FBS is significant. Leipold has not coached in FBS since working as an assistant at Nebraska from 2001-2003. But even in D-III, going 108-6 with five national championships (and the opportunity for a sixth) is pretty damn impressive. And while Buffalo technically isn't in the Midwest, it does take up the conference footprint and Leipold has a lot of experience in the region. It definitely is a risk but to me, it's a risk that is worthwhile. Dan Enos left late in the process to become the offensive coordinator at Arkansas following a passable five-year tenure in Mount Pleasant with a pair of bowl appearances. CMU then turned east to the Lions and their special teams coach, Bonamego. Bonamego certainly has familiarity with the region and the school as he played his college ball there but he also has not coached in college since 1998. While he does have a lot of experience as a special teams coach (a position that doesn't see as much consideration for head gigs as it should), he also has never been a coordinator on either side of the ball. It feels like he has got his work cut out for him here. After finding success with Jim McElwain, Colorado State went for a similar kind of coach in Bobo. And while he did receive criticism from Georgia fans, he has led some potent offenses in Athens. For a 40-year-old, Bobo does have a good amount of playcalling experience and he has done good work with the Bulldogs but unlike McElwain, he doesn't have any experience coaching outside of the southeast. But even then, it's a good hire. It seemed from the get-go that Florida was not all that interested in going after one of the big names like Bob Stoops, Rich Rodriguez or Dan Mullen. That said, this is a very good hire for the Gators. 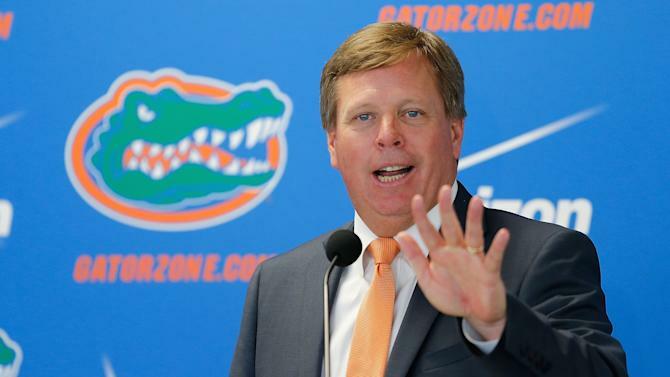 They were looking for a bright offensive coach and McElwain is just that. He did a very good job when he was calling plays in Tuscaloosa with Alabama and he has built some solid offenses in Fort Collins. Jumping from Fort Collins to Gainesville is not an easy rise and there are significant expectations to compete for national titles but I like McElwain a lot and I think Jeremy Foley made himself a quality hire here. I think that Houston made out really well with this hiring. Houston is known over the years for running high-powered offenses and Herman has led just this during his years with Urban Meyer at Ohio State as well as building strong offenses at Iowa State and Rice. He also has significant ties to the state as he has coached at Texas Lutheran, Texas, Sam Houston State, Texas State and Rice. Not to mention that he is remarkably bright, this is a great hire for the Cougs. Two straight hires have flamed out quickly for Kansas, showing just how tough of a job it can be. But as Mark Mangino showed, you can go to bowls in Lawrence. Beaty is well-regarded and he has connections in Texas due to his high school coaching days as well as his days coaching at Rice and at A&M. However he only has two years of coordinating experience and that was for a Rice team that went 4-8 and a KU team that went 2-10. Bringing in a guy like Beaty is a departure from the Turner Gill and Charlie Weis but even then, I'm not sold he is the guy. This is a huge hire for a program that really has not been at the pinnacle of college football in a decade. There is no question that Harbaugh knows how to coach as he went 29-6 at San Diego, resurrected Stanford from a trainwreck into a Pac-12 power and led a woebegone 49ers franchise to three straight NFC Championship appearances as well as to Super Bowl XLVII. A "Michigan man" himself, Harbaugh should lead the Wolverines back to national prominence as well as towards some fun showdowns with Ohio State and their coach, Urban Meyer. This hire was a true stunner as there has been no talk about Riley being in the mix for the Nebraska job. It appears that Nebraska was looking for someone with a very different personality than Bo Pelini as well as somebody that can recruit California and Texas. There is no question that Riley can coach as Oregon State is one of the worst programs in the Power Five but he is also 61 and has no ties to the region. It's not a terrible hire but it also is not one to get overly excited about. But while the Riley hiring was a stunner, Andersen leaving Wisconsin to take over for Riley in Corvallis was even more shocking. No matter the potential reason for Andersen to leave Madison, this is a home run hire for the Badgers. Andersen has plenty of experience coaching out west and before he took over at Wisconsin, he did an extraordinary job building up the program at Utah State. For a program that is at or near the bottom of jobs in the Pac-12, this is a coup. Pitt is hiring their fourth head coach since 2010 and while Narduzzi has never been a head coach before, there is a reason why he was one of the most highly touted assistant coaches in college football. He has led some very impressive defenses in East Lansing and is a protegee of a darn good coach in his own right, Mark Dantonio. The only question is whether he can coach away from Dantonio but beyond that, this is a solid here. June Jones has some success leading the Mustangs but amid his resignation in September, the team was probably the worst one in FBS. It has been a tough place to win since the death penalty and therefore bringing in a coach as highly regarded as Morris, who has been linked to higher profile jobs before, is a major steal. Morris is a brilliant offensive coach and given his extensive high school experience in Texas and his recruiting connections, this is a great fit. Brown has some big shoes to fill in replacing Larry Blakeney, who started coaching at what was Troy State in 1991 and won 175 games in his tenure with the Trojans. Brown, who was only 11 when Blakeney first took the job and will be the second youngest coach in FBS, has had some success as an offensive coordinator at first Texas Tech then Kentucky and worked for four years at Troy as first a receivers coach then as the coordinator. The Trojans have slipped a little since winning the 2010 New Orleans Bowl but Brown makes sense. Considering that Art Briles and his high-powered offenses at Baylor has helped propelled that dormant into being a power in the Big 12, for a school like Tulsa that has had success in recent years running a dynamic offense, why not bring in one of Briles's top lieutenants. Montgomery, an assistant of Briles since 1997 at Stephenville High School, has excelled as a playcaller in Waco and he should be able to being some excitement, as well as some Texas recruits, to the 918. However, can he excel away from Briles? The last time a coach went from the high school ranks directly into the FBS, it was a disaster as Todd Dodge went 6-37 at North Texas before not making it through a fourth season. And we all remember Gerry Faust's tenure in South Bend. But a program with little history success as UNLV, the risk may be worth it. Sanchez has led a local power in Bishop Gorman High and there are rumors that he may be able to get backing for the program from UFC CEO and casino exec Lorenzo Fertitta. For a program like this that has tried just about anything, taking a chance like this may be worth it in the end. After the aforementioned stunning departure of Gary Anderson to Oregon State, of all places, the program went back to somebody familiar. And it doesn't get more familiar than Chryst, a Madison native, a Wisconsin grad and who served as the offensive coordinator for the Badgers for seven years before taking the Pitt job. Now while he certainly has plenty of familiarity with the program, he also was not exactly tearing it up with the Panthers as he went 19-19 in three years. It's a good hire but also a safe one.